While a large percentage of gold mined around the world is used to make items of great value – notably jewelry, collectible currency, and similar possession – you may be surprised to know this precious metal is also valued in the construction of various household objects like televisions and computers. This is because gold, like other metals, is a good conductor of electricity. You may not compare a working refrigerator with an expensive wedding band, but gold can be used in both. No matter the time, gold remains a good investment. According to the Motley Fool, one ounce of gold was priced at close to nine hundred dollars in 2008, three times the value of one share of Google stock. In South Africa, there are mines that go as deep as twelve thousand feet, topping off well over a hundred degrees Fahrenheit. Most items that people may believe are pure gold, like certain coins and Olympic gold medals, are actually gold-plated. Gold is a very versatile element. It can be made into thread for fabric or used to design chocolate. The largest gold mine in the world, according to International Business Times, is the Grasberg Gold Mine in Papua, which has produced over two million ounces. China – in 2011, China produced overall over 350,000 kilograms of gold. The Zijin Mining Group Ltd is presently the country’s leader in precious metal mining. Australia – Australia’s output was over a quarter of a million kilograms in 2011. The United States – It is estimated that three percent of the world’s output of gold comes from Nevada alone. Nevada accounts for nearly all of American production. Russia – Two hundred thousand kilograms of gold were produced from Russian mines in 2011. The Polyus Company is one of the nation’s largest gold concerns. 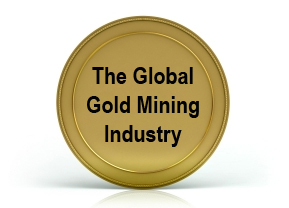 South Africa – South Africa is one of the world’s leading countries in precious metal mining. In addition to gold, the country also produces large volumes of diamonds, platinum, chrome, and manganese. If there is one product that could be considered recession proof, it is gold. Gold never seems to lose value and will likely always trade high. This, of course, precipitates the challenge in meeting the demand for gold. According to BullionVault, a decline in skilled workers may contribute to a downtrend in production. Fears of mining accidents, brought to global attention in recent years, may contribute to this growing gap. Despite these forecasts, the potential for mining gold and other precious metals remains so long as the resources are available. We are likely to prize gold as a personal possession for many years to come.